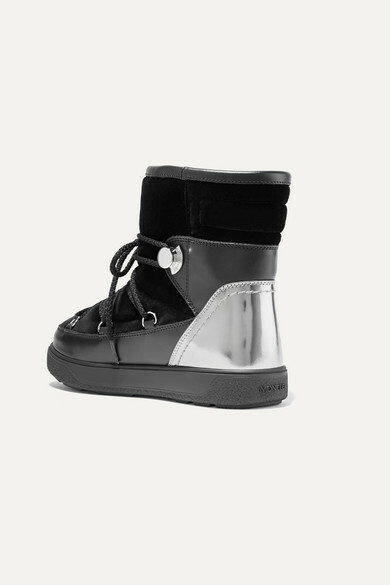 Moncler's boots mean never having to choose between warmth and style during the winter months - every design is as cozy as it is chic. These 'Stephanie' boots have been made in Italy from plush velvet and trimmed with black and silver leather. 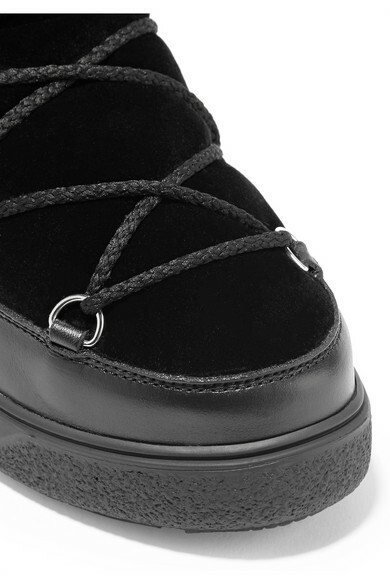 Slushy city streets will be no match for the reinforced rubber platform sole. 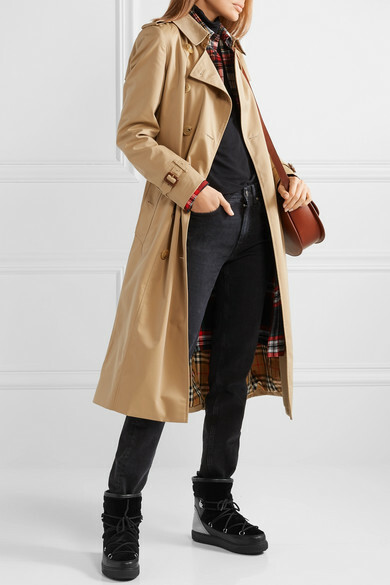 Shown here with: Theory Top, M.i.h Jeans Jeans, Joseph Trench coat, A.P.C. Atelier de Production et de Création Shoulder bag.